You can taste Hakuko, MORIKAWA SHUZO CO.,LTD. from Hiroshima prefecture, Hiraizumi, Hiraizumi Honpo from Akita prefecture and, Sogen, Sogen Sake Brewery Co.,Ltd. from Ishikawa prefecture. The brewery is located in western Japan at the southern portion of the Hiroshima prefecture, in a small town surrounded in nature; being a part of the Seto inner sea national park. Their brewery is located at the eastern side of the Noro Mountain [839m]. The Norogawa River flows nearby, and its clean waters and the clear air are representative of the beautiful surrounding environment. Along with Nada and Fushimi, Hiroshima is known as one of the 3 greatest producers of sake, and has been known from long ago as a land suited for making sake. The traditional method of making sake in Hiroshima is the “Soft water brewing method”, a brewing method that fully utilizes the characteristics of the water quality in Hiroshima (generally soft water), and the quality of the sake is recognized throughout Japan. The foundation of their brewery is in the quality water. The quality of water used is one of the most important factors in making sake. Their water has been commented on by professor Sasaki of the Hiroshima Kokusai Gakuin University, also known as the “Professor of water”: “This is a vary rare soft water which matches the definition of “Good water” given by the Ministry of Health, Labour and Welfare. The water quality is good for making not only tea, coffee, and cooking, but is also optimal for making soft water brewed sake.”. The figures learned from analysis show that because of the very low mineral content, the yeast is easily starved of nutrients, and it is difficult to ferment into alcohol. It is said that the mineral content is the very minimum it can be to make alcohol with. Because of this, our brewery puts in a significant amount of effort in making a good koji (malted rice) to introduce the alcohol fermentation, and as a result, a flavorful sake is born. To sum up the “Hakuko” in one phrase, it is “a sake that tastes soft and pleasant but is full of flavor”. It is a sake perfect for the dinner table. They are Akita’s oldest and even in Japan 3rd oldest brewery, having been founded in 1487 in the middle of the Muromachi era. Originally, the company was a wholesaler of goods sent by ship, with sake brewing just a side business. But in the early Meiji period, sake brewing became the main business. We have since then been staunchly brewing sake in the old yamahai-shikomi method. Our current brewery dates from 1883. The name is a combination of the name of the business when we were a wholesaler, Izumiya, and the name of the immediate region, Hirasawa, and was shortened from “Hirasawa Izumi no Sake.” Also, there is the theory that a local painter sent our sake to Monk Ryokan of the Echigo region, calling it “jumping, good, white water,” and the name and characters are a play on that expression. Hiraizumi is Gold Prize winning sake in the Annual Japan Sake Awards 2015. Founded in 1768, Sogen Sake Brewery is deeply rooted in the local community, who have cultivated love of their sake that taste smooth with a hint of sweetness. The locals call it “Sogen sake” after the family name of the owner. 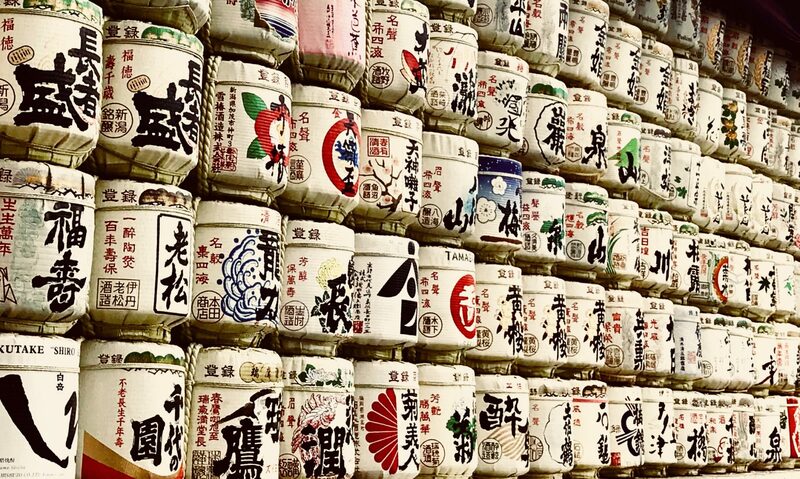 In addition, our higher-end sake are well recognized by sake fans for their elegant aroma. Suzu City, where the brewery is located, is home to the famed Noto Toji school of brewers. Sogen Sake Brewery was founded in the mid-Edo Period, 1768, even before America declared independence in 1776. Legend says Sogen Chugoro who traced his roots to Yoshiharu Hatakeyama, the lord of Nanao-jo Castle in the Sengoku Period, started business and his descendant was trained in a brewery in Itami (present-day Hyogo Prefecture) and mastered the secrets of the sake brewing. Noto Toji is one of the Japanese four major Toji group and it is said that Sogen Sake Brewery is the birthplace of Noto Toji. Toji is the superintendents in breweries and is the professionals entrusted with training many brewers. Like many other country regions of Japan, Oku-Noto struggles with a dwindling population and economy. One consequence was the closing in 2005 of the Noto Line which connected the lower and upper portions of Noto. In 2013, Sogen acquired and restored a portion of the Noto Line rail and tunnel. It was part of a regional initiative, the “Oku-Noto Area Vitalization Project”, whose goal was to reinvigorate the local communities. When the restoration was completed, Sogen launched Notoro, a self pedaled trolley. Visitors are welcome to enjoy a ride on this trolley and the scenic views it offers along the coastline. You can also take nostarsic photos walking on the rail tracks like a “Stand by me” film. The tunnel section of the line was also restored and is now used exclusively for sake storage. The natural ambient temperature of 12℃ is ideal for aging, and gives the sake a more mellow and deeper taste. A special dinner, only for 16 lucky people, on holiday, December 24th at 6:00 PM to enjoy the opera sung by Kensho Maekawa, with the full course of fermented french at Sake Scene Masufuku. The price is ¥14,500 (tax included) for music charge and Christmas full course. You can order sake as you want, not including sake fee in the participation fee. They serve you the variety of Sake from small breweries and foods by using the local ingredients to experience marriage. You can enjoy drinking sake at different temperatures. Changing its temperature changes the aroma and taste dramatically. 5min from World trade center building seaside top. Nearest Station: Within a 5-minute walk from JR Hamamatsucho Station, Toei Oedo Line and Asakusa Line Daimon Station, and Toei Mita Line Shiba-koen Station. Send a message on Facebook!